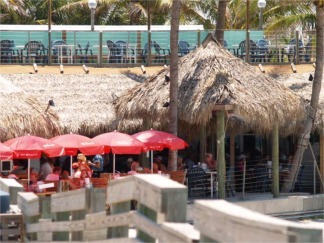 Sharkys on the Pier..dine on a sparkling beach with good food and great views. Right on the Beach with Great Gulf Views! 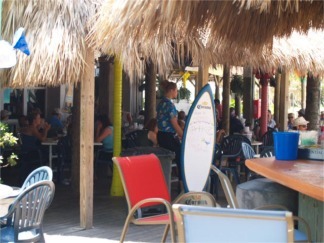 Having lunch or dinner at Sharkys on the Pier will be one of the highlights of your trip to the Sun Coast and our Sarasota, Florida restaurants. The crowds are to be expected at a beach location like this one where you can dine al fresco and look out over the beautiful Gulf of Mexico. You may also choose to dine inside in one of two dining rooms with a full service menu. 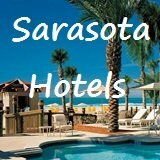 One of the most popular restaurants in Sarasota and the surrounding Sun Coast area, it is usually buzzing with activity including, often times, live music on the outside deck. 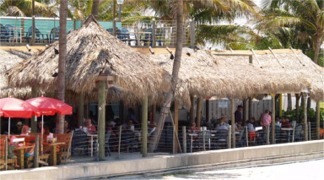 Once you get a table (which sometimes can be a little while), service is usually prompt and fast, even in the busiest part of the season, as they generally have enough staff on hand to handle the over-flow lunch or dinner crowd, or the ‘regulars’ who hang out at the thatch roofed Tiki Bar! 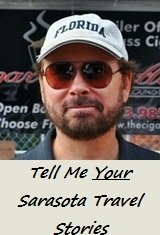 While I’ve never pulled up a stool at their Tiki Hut Bar, I have been there on the outside deck numerous times for either lunch or dinner with family or friends. I prefer outside dining at a location like this but have dined inside as well. They feature the same menu inside or out. I have seen the menu change over the years also. That’s a nice feature; It’s nice because it keeps the menu interesting and evolving, yet still creative, even though most of what’s on the menu is easily and quickly prepared and served. That helps to keep the sometimes large crowds turning over as quickly as possible so you can get a table at some point. I’m mainly after a sandwich when I go. For example their Turkey Club BLT is Killer – KILLER!! It’s bacon, lettuce and turkey! The last time I ordered the Turkey Club I could barely finish it. I did order a side of fries, though, so that had a little something to do with it. But their Turkey Club is a large sandwich and a good bet and value if you’re really hungry. Very filling. Very tasty. Other treats I’ve had here at Sharkys on the Pier include: Crab Stuffed Mushrooms ($12) on the “Gulf Starters” part of the menu, which are delicious (as are the Buttermilk Onion Rings, by the way!) and which I was kind-hearted enough to share amongst my accompanying party once. But I’ll warn you ahead of time, when they’re this delicious you might not want to share! You might want to place 2 orders for the Crab Stuffed Mushrooms. I’m hungry now just thinking of them! I’ve also found success with the Fish & Chips; nice pieces of Alaskan Pollack dipped in batter and golden fried, served with fries (chips) and cole slaw ($13) and Burgers. You can also get a Bimini Cheeseburger. With a menu as large as the one that they present here you’re limited only by your tastes and wallet because there is enough of a variety for even the most selective or finicky of eaters to find something they’ll like. On another dining occasion at Sharkys on the Pier, while dining inside, I have ordered the Crab Stuffed Mushrooms as an appetizer and gone in for the Ginger Thai Shrimp and Chicken ($17). I had seen someone else enjoying this dish so I looked it up on the menu and when I got to the end of the menu description it read: "....in a spicy sesame peanut sauce." Hmmm. How spicy, I wondered? Well, I decided to ask the waitress just how spicy it was. Her reply was that she would place the order and tell them to go easy, or mild, on the sauce. I told her that sounded great, as I'm not a real big fan of "spicy" foods especially if they're also "hot." So when, the entree arrived and I dug in (and it's a lot of food!) to the pasta bowl it was served in I found it to be very pleasing and tasty; mildly spicy, but not too much; just right! And it was very good with nice large shrimp and chicken sauteed together with ginger, basil, Napa cabbage, scallions and crispy-fried noodles (which were terrific) all in a very mild, but still tasty sesame peanut sauce, all over linguine. 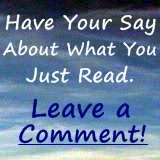 A definite recommendation! There’s everything from “Coastal Sandwiches” like their Turkey Club to their “Pier Favorites,” featuring fresh local seafood prepared any number of ways. Plus there’s Island Chicken, Seafood Salads, “Pier Pastas” like Scampi Venetian Style (this IS Venice, Florida, after all!) or Island Jambalaya. As I wrote above, the menu changes and evolves over time at Sharkys on the Pier, so experiment with your taste buds and try something new to yourself. 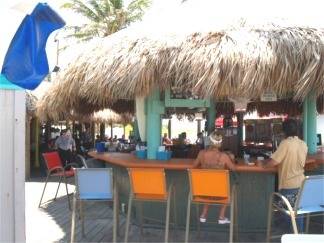 And there’s full bar service with tropical drinks from the Tiki Hut bar. 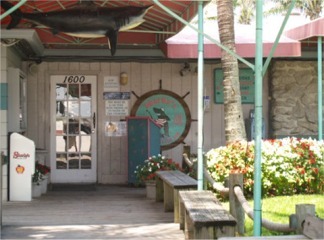 A little history on Sharkys on the Pier: They opened as a small bar and restaurant at the Venice Fishing Pier in 1986. They seated only 90, originally, but as its popularity grew they expanded, over the years, to about 8,000 square feet. And it will be growing larger again. To sum up: Because there's an outside open air deck under a thatched Tiki style rooftop, a Tiki Hut Bar, indoor, outdoor and rooftop seating along with frequent live entertainment, and a spectacular view of the beach and the Gulf of Mexico, you’re sure to have a unique, fun and filling time for lunch or dinner at Sharkys on the Pier in Venice. 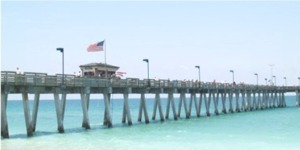 And if that’s not enough, you’ll be right there at the beach and the Venice fishing pier. You can always lay out and catch some rays after lunch or go for a romantic sunset or moonlit walk on the beach, or the pier after dinner. 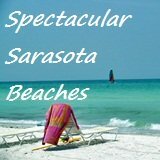 It’s one of the most scenic spots in my Sarasota Dining Guide and on the Sun Coast. 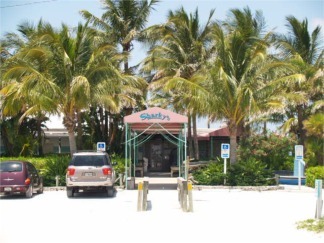 They also recently expanded (2014) at Sharky's with an additional restaurant on the property called Fins. Now there's more room than ever before for this popular, right on the gulf, establishment. Tips: They are usually crowded and you’ll most likely have to wait for a table so build a little extra time into your lunch or dinner schedule, especially during busy season. They do have host/hostess seating. This is a nice feature especially during the busy season. This means you’ll have an easier time getting a table than in the past when it could be a bit challenging trying to get a table on your own! 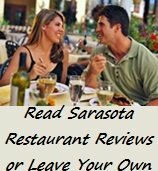 Directions to Sharkys on the Pier: From the Sarasota area follow U.S. Rt. 41 to Venice, over the bridge and into town. Turn right on to Venice Avenue and follow it through Historic Downtown Venice to Harbor Drive. Turn left on to Harbor Drive and follow Harbor Drive. 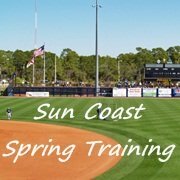 You can't miss it because they're right across the street from the Venice Municipal Airport, and directly on the beach at the Venice Fishing Pier. There’s a huge free parking lot. 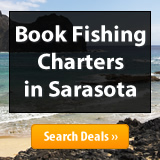 From Sharkys on the Pier to Sarasota Restaurants Main Page.